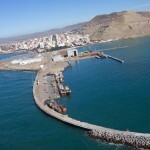 Comodoro Rivadavia, in the province of Chubut, with 173.000 inhabitants is the city with the largest population on the Patagonic coast. There are many oil wells in the area and there is also significant fishing and financial activity. Also, there is a substantial metalwork industry serving the oil extraction activity and other mineral exploitations. 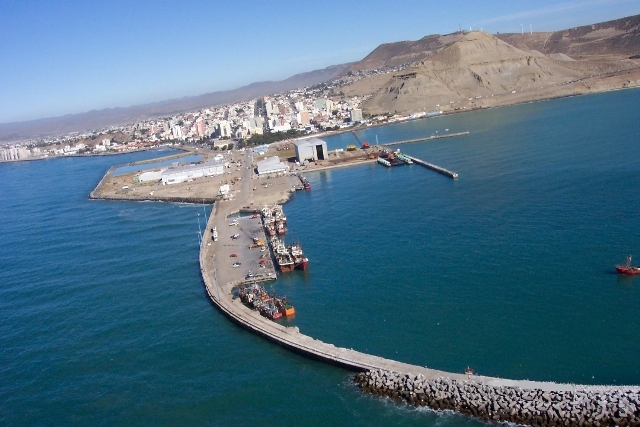 Comodoro Rivadavia is connected north, south and west of Patagonia, where it connects with Puerto Aisén and Puerto Chacabuco in Chile. The airport serves domestic and regional flights, with several daily flights to Buenos Aires and other destinations. There is a free zone in the port area. BREAKWATER: The breakwater is about 600 long, thereby giving protection to the harbor from the wind, sea and swell from the east and south. A 25.000 sqm free zone area including a 600 sqm warehouse located at port entrance, forms part of a major (550.000 sqm) industrial free zone situated in the vicinity of the city. 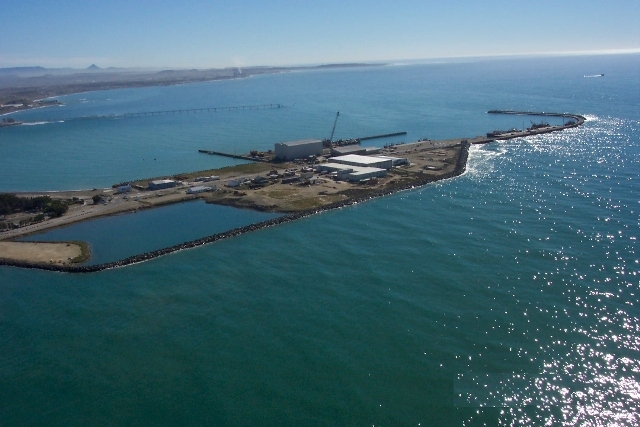 Vessels may anchor off the port, except in the area reserved for tankers of 150 m on each side of a 2500 m line extending seaward from the General Mosconi pier. Almost parallel to the shore and of little effect, being towards the south when ebbing and towards the north when flooding. Off shore it reaches up to 1,5 knots. 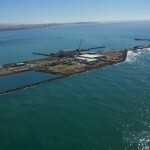 Pilots must proceed from Puerto Madryn as there are none on station locally. There are three principal hotels and several residential hotels of good standard. Daily bus services via Highway Nº 3 north to Buenos Aires, south to Río Gallegos/Ushuaia and intermediate cities. From the airport domestic airlines link Comodoro Rivadavia with Buenos Aires/Ushuaia and intermediate cities with regular daily flights. A pipeline is laid on to the commercial berth to permit bunkers of gasoil from two tanks in the port area. The new commercial quay is fitted with permanent fenders. At the commercial quay fresh water is laid on to the quay. Refuse skips are available adjacent to the quay. Available in port container yard. The private naval repair shop mentioned above, operates a small syncrolift for vessels up to 2500 tons. The Port Administration owns 1×2 ton forklift truck and 1 mobile crane (45 ton SWL). Various private companies in the area rent mobile cranes and forklift trucks. Three warehouses with 660, 262 and 1.015 sqm covered area. Open storage (Custom controlled), paved 3.000 sqm for reefers, unpaved 4.500. Usual victuals available but convenient to request in advance. Due to limited local Supply, all usual ships stores should be ordered in good time.